- who will be first out to get the treats? 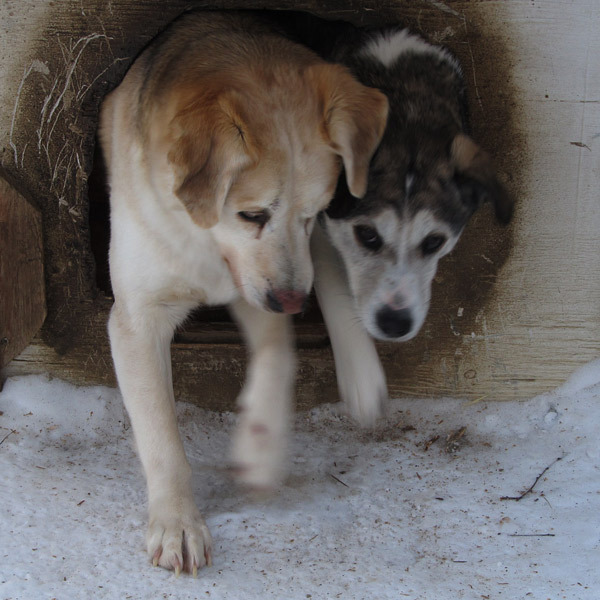 The doorway in the doghouse is small. One dog at a time can get through with no trouble. Two dogs, however, presents a traffic jam. They look just like puppies here. Very sweet.